Success Technic Industries - Success Technic Industries is a manufacturer and supplier company for homogenizing and mixing machinery fabrication. Our main office is located in Seri Kembangan, Selangor, Malaysia. 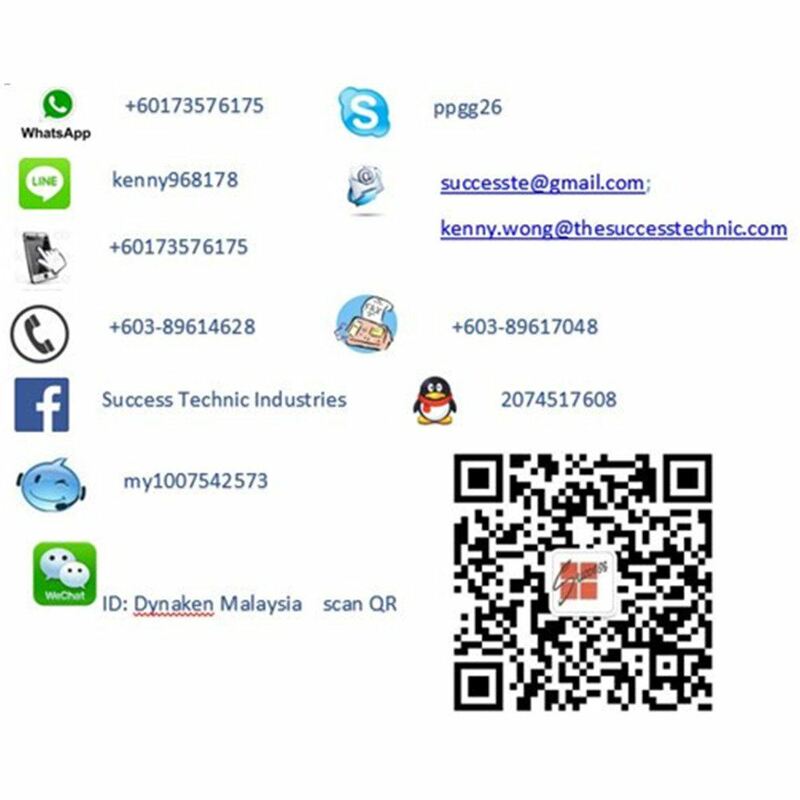 23-Feb-2016 Success Technic Industries launch wechat ofiicial account "Dynaken Malaysia"
Success Technic Industries is a manufacturer company for homogenizing and mixing machinery fabrication. Our company is located in Seri Kembangan, Selangor, Malaysia. Since the company's founding in 1986 by the on board director, Wong Chor Kit. The growth has been fast and steady and reached its turning point peak sales in 2005. It has grown by introducing new services, expanding its customer portfolio, expanding more product range and provides apprentice-training program training. The company obedience to customer satisfied, sustained improvement, provides high grade and the competitive product at low cost, and builds the win-win cooperation relation with customers. The company management idea is that quality is life, speed are profit, innovative is soul, we will succeed with customer hand in hand to establish a wealthy future. Design, custom modification and fabrication of Engineering Metal and Plastic Products, Equipment Spare Parts and Replacement Parts. High Speed Precision Machining of engineering metal and plastic, graphite and ceramic material. Turnkey Projects for Automation Equipment. Our mission is to focus on customer satisfication, sustained improvement, provides high grade and competitive product at low cost, and builds the win-win cooperation relation with customers. If you have any questions or need more information, please contact us. We will be pleased to answer any enquiries you have.